Posted under Health Guides. Updated 13 February 2018. Weed, pot, Mary Jane, ganja, bud – what do these terms have in common? They’re all slang names for marijuana. Marijuana is the product of the dry, shredded flowers, stems, seeds, and leaves of the hemp plant Cannabis sativa. All forms of marijuana contain the mind-altering chemical “THC” (short for delta-9-tetrahydrocannabinol) which is the main ingredient. There are also as many as 400 other chemicals in marijuana. How potent (strong) is marijuana today? The amount of THC in the plant has a lot to do with how strong or potent the marijuana is. The more THC, the stronger the marijuana. Today’s marijuana has a much higher concentration of THC than ever before. While low concentrations of THC (2-4%) might have a relaxing effect, high concentrations (12% or higher) can have the opposite effect and may cause people to feel agitated, paranoid, anxious, and it can ever cause hallucinations. The amount of THC in marijuana can be different depending on the type of plant, which part of the plant is being used, where it was grown and prepared, and finally, how it is stored. Marijuana is typically smoked as a “joint” (cigarette), a “blunt” (hollowed out cigar made of tobacco leaves), in a pipe, or a bong. Marijuana, or concentrated THC extracts or oils, can also be vaporized and inhaled (“vaped”), mixed into foods, or brewed as a tea. The strongest forms of the marijuana plant are: Sinsemilla, hashish and hash oil and other cannabis extracts. Sinsemilla – is made from the female marijuana plant and does not have seeds, yet it has a high concentration of THC. Sinsemilla contains about 10-30% of THC. Hashish – is made from the resin of the marijuana plant and is one of the strongest parts of the plant. Hashish contains about 10-20% of THC. Hash oil – extracts are the most potent (strongest) part of the plant. Super strong hash oil extracts are also called “wax,” “dabs,” “budder,” “crumble,” and “shatter.” These are made by removing THC from the marijuana plant in an oil form. Hash oil extracts are extremely potent and according to a recent research study, they may contain as much as 80-90% of THC. What happens when someone smokes Marijuana? The way marijuana affects a person depends on how strong the THC content is, how it is being used, whether alcohol and/or other drugs are being taken at the same time, as well as a person’s reaction to it. Keep in mind that other drugs can be mixed in with the marijuana without the user knowing beforehand. If there are other drugs mixed in, the effects may be more intense. Are there other effects I should know about? THC also upsets coordination, balance, posture, and reaction time. This can lead to problems while playing sports and doing activities that require your full attention and quick thinking, such as driving. Research studies have shown that drivers with THC in their bloodstream were about twice more likely to be responsible for a fatal crash than drivers who had not used alcohol or drugs. Drivers with high levels of THC in their blood were 3-7 times more likely to be the responsible party in a car crash involving others. THC can harm the developing brain of a fetus (unborn child) if a pregnant woman uses any form of marijuana. THC also passes through breastmilk and can be harmful to an infant. Researchers have reported cases of “cannabis hyperemesis synderome” in some people who use marijuana regularly. Symptoms include severe vomiting and stomach pain which usually stops when the person stops using marijuana altogether. Long-term marijuana use can have many negative effects as well. Brain development: When marijuana is used beginning in adolescence, people may have lasting changes to connections in the brain related to thinking, memory, and learning. Mental health problems: Studies have shown that people who use marijuana on a regular basis have an increased risk of schizophrenia. Marijuana use has also been linked to mental health problems such as depression, anxiety, and suicidal thinking. 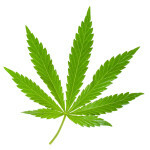 Respiratory problems: Marijuana smokers can develop many of the same breathing problems as people who smoke cigarettes. These problems include daily coughing, wheezing, more frequent chest illness, and an increased risk of lung infections such as pneumonia. Marijuana contains more carcinogens (cancer causing agents) than nicotine. It is not known whether marijuana increases the risk for lung cancer or other respiratory tract cancers. Heart problems: Researchers have found that there seems to be a connection between heart attacks and strokes caused by marijuana use. Marijuana use has also been associated with an increased risk of death among people who have already had a heart attack. Social problems: Marijuana use, particularly when started in adolescence and when heavy, is associated with lower academic and career success, relationship problems, and lower life satisfaction. You may have heard that you can’t become addicted (otherwise known as dependent) to marijuana, but that’s not true. Dependence on marijuana is also called “marijuana use disorder.” When people use marijuana over a long period of time, they can develop an addiction to it. They may try to stop, but can’t because they find life without marijuana to be too difficult. They often don’t feel normal unless they are using it and suffer from mood and sleep problems, irritability, low stress tolerance, restlessness, have trouble sleeping, and other symptoms when they try to stop. In fact, it’s estimated that 1 in 6 people who start using marijuana in their teens will become addicted to it. People who are addicted or dependent on marijuana have similar withdrawal symptoms as those who are addicted to nicotine. Withdrawal symptoms can last up to 2 weeks after stopping marijuana use completely. If using marijuana can harm you, why do people do it? Even though research shows that there are many negative effects from using marijuana, some people choose to use it anyway. This may be because of the effects such as relaxation and euphoria (intense happiness) that they feel while using it. The truth is that even though something may feel good, it doesn’t mean it’s good for you. I’ve heard that marijuana can be used as medicine – is that true? Although the debate regarding the medical use of marijuana continues, the FDA (Federal Food and Drug Administration) has approved pills that contain THC for cancer patients (who have nausea and vomiting) and for patients diagnosed with AIDS (who have a low weight and/or no appetite). Research is being done to find out other possible uses and forms of THC and other cannabinoids (chemicals from the cannabis plant that act on a certain type of receptor in the brain). A person must have a prescription to get it. Smoking marijuana is not accepted as a medical treatment. Companies that make certain medicines are working to develop safe, standardized medications with the Cannabidiol (CBD) compound. I’ve heard a lot about marijuana on the news. What are the legal issues involved? You may have heard or read about laws regarding marijuana use. This is because people have a lot of different opinions about whether marijuana should be legal. Every state in the US has its own laws and consequences about growing, possessing (having), and selling marijuana. There are 29 states that have legalized marijuana in some form however each state has specific laws such as how much marijuana you can have. In every state, you must be over 21 years of age to use marijuana recreationally. In some states, you can use marijuana (if you are 18 or over) for medical reasons (if you have a medical card). Many employers test for drug use during the hiring process, and some have ongoing random drug screening. Marijuana users may not be able to get a job because of their drug use, or they may lose their job if a test comes back positive. The same is true of sports teams. If you test positive for marijuana, you might not be able to play, or you could get cut from your team and have to pay a fine. A urine test may be positive for days to weeks after marijuana use. How long depends on how often a person had been using the drug prior to the test. How do I know if I have a problem with marijuana use? How can I quit using marijuana? If you want to quit using marijuana, the most important thing to do is speak with a trusted adult who can assist you so you get the help you need. There are treatment programs that focus on counseling and group support, and there are programs designed especially for teens. Ask your health care provider for a referral. My parents caught me smoking weed and are really mad. How can I convince them it’s no big deal?